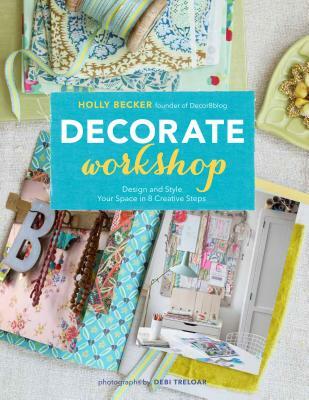 In Decorate Workshop, Holly Becker shares all of the design secrets that have made her one of the most beloved bloggers and stylists today. A companion to the international bestseller Decorate, this interactive guide takes readers step by step through her unique eight-step process. She shares her personal design philosophy and explains how to carry a vision into a finished room, from the early paint swatches to the final accents. Readers will learn how to identify their style, create mood boards, outline a schedule and budget, source materials, and start decorating! Filled with expert tips, important checklists, blank space for making lists and plans, and 250 photographs of gorgeous interiors, this is an essential planner for home decorators, whatever their budget.